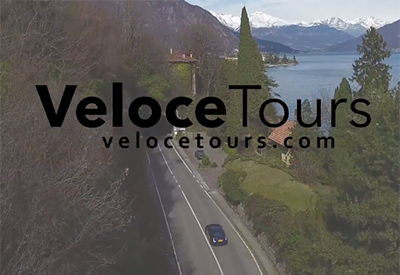 We have joined with Veloce Tours to present the Friends of the Concours d'Caffeine with an opportunity for a custom driving tour of Italy. Click here for more details. 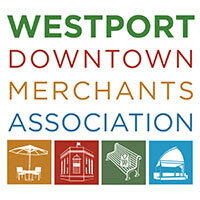 Our show field will be in Downtown Westport for our Cinco de Mayo event from 8 to 11:30AM. 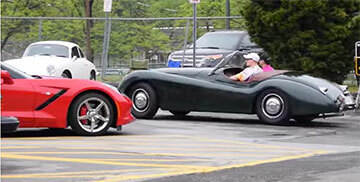 Cars and Coffee vehicles will be lined up on Main Street from the Post Road to Avery Place with overflow parking in the Elm Street municipal parking lot. Main Street will be closed to other traffic from the Post Road to Avery Place. Elm Street will be closed to traffic from the Church parking lot to Main Street and Church Lane will be closed at Elm Street. The Concours exhibit will be located in the Brooks Plaza parking lot at the corner of Main and Elm Streets. Our Fall event is scheduled for September 29, 2019 and will return to the Westport Train Station. Our event combines the Concours d’Elegance and Cars & Coffee concepts into one event; an informal gathering of car enthusiasts, where proud drivers congregate to kick tires, enjoy relaxed conversation with other enthusiasts and have a cup of coffee and view a Concours-style exhibit of featured vehicles. Following the Concours event, we also have an organized rally-style tour, the Tour d'Caffeine. The Concours Exhibit will be a display of convertibles, open cars and "rag tops" from across the years. We are inviting owners of these vehicles to submit them for consideration. The event is free to owners and show guests alike. Area businesses and restaurants will be open for coffee and lunch to make it leisurely Sunday of enjoyment for all attendees. Our Concours-style Featured Exhibit for our May 5, 2019 event will consist of convertible and open cars throiugh the years celebrating Spring. Owners are invited to submit their qualifying vehicle for consideration by using our REGISTER page and selecting Concours, and optionally the Tour d'Caffeine, if you wish to join our tour after the Concours to a lunch celebrating Cinco de Mayo. We will select 25 cars from those that register to be part of the Concours exhibit. 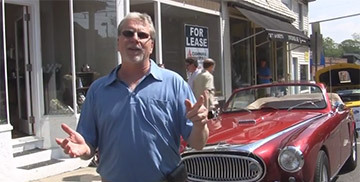 View cars and talk with owners who bring their domestic and foreign sports cars, classic and collectible cars. A number of area car clubs will come as a group with many exciting cars. In the Cars & Coffee part of our event, we invite interested area owners of domestic and foreign sports cars, classic and collectible cars and those interested in viewing beautiful vehicles and talking with their owners, to join us Sunday morning, May 5, from 8:00am until 11:30am. The event is a gathering of like-minded car folks. We also invite area marque clubs to attend as a group. If you let us know that you are coming, we will provide a club parking area for your club. Registration for Cars & Coffee is optional, however the first fifty who register will be in a special parking area on Main Street. Use our REGISTER page and select Cars & Coffee, and optionally the Tour d'Cinco de Mayo, if you wish to join our tour after the Concours. 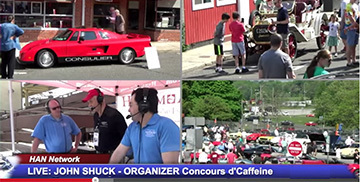 Cars & Rally - Tour d'Caffeine - Presented by Automotive Restorations, Inc. The first 30 who register on our website will depart at 11:30 am on an approximately 50-mile mini-rally through Southern Fairfield County to the Redding Roadhouse for a lunch celebrating Cinco de Mayo. There is a registration fee for the tour. Use our REGISTER page and select the Tour d'Caffeine, if you wish to join our tour after the Concours. Click here to view the a spectator's Video of the event. Click here to view the Westport-Weston Chamber of Commerce Video of the event. We want to offer a special thanks to Westport Weston Chamber of Commerce, Westport Downtown Merchants Association, and the merchants of Downtown Westport and the Saugatuck area for their support of the event.